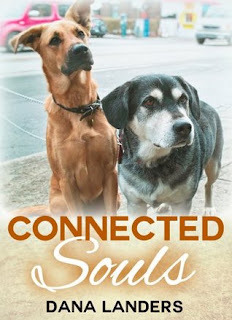 I bring to you today a quick review of the short book Connected Souls a Dog Story. If your an animal person you may love this story. Let me give you the first paragraph from the book as it best sums up what this book is about. I am a sucker for animal stories (my last review said the same thing) so maybe I should just stop saying it? Anyway the begining of this story was so sad, you spend Codi's last moments with his family and even though he is at peace with what is happening you still grieve. Cujo story is sad and while you know the ending will be happy (at least you hope) you still can't help but get mad at Cujo's former owners. I will never know how someone can just give up a pet. It just doesn't make sense to me and it never will. This book is a quick read and if that's what your looking for I suggest you pick this up.